“Wow, this should be difficult.” This was the impression we got when first seeing the sketches of the chair, but the stunningly beautiful design intrigued us. Furthermore, someone said with enthusiasm, “We can learn a lot from overcoming the difficulties!” The chair, LAPIS, has a conventional Finish look, designed by a Finish designer couple, Sirkka and Timo Saarnio. 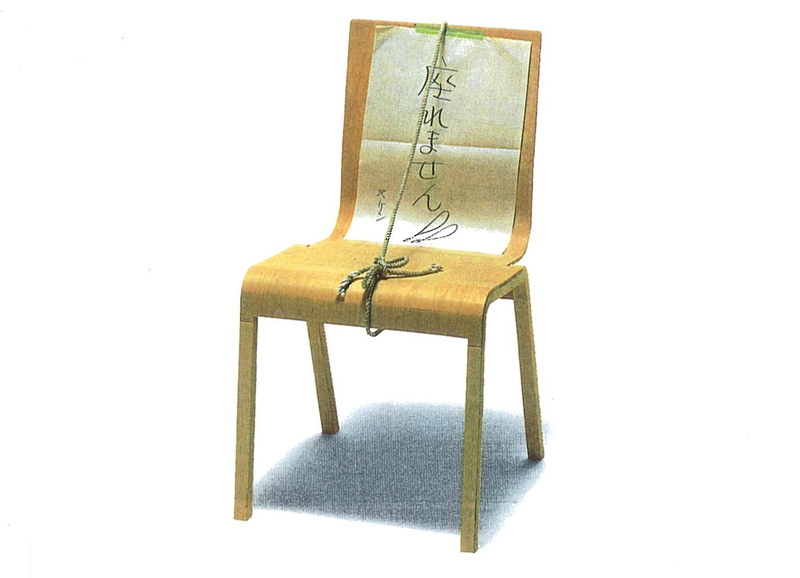 This simple chair is composed of only three parts, and is as light as three kilograms with a backrest of beautiful grains, an ergonomic seating to fit the body line, and sturdy legs to firmly support body weight, which became feasible by the latest technology (at that time) of wood molding press. 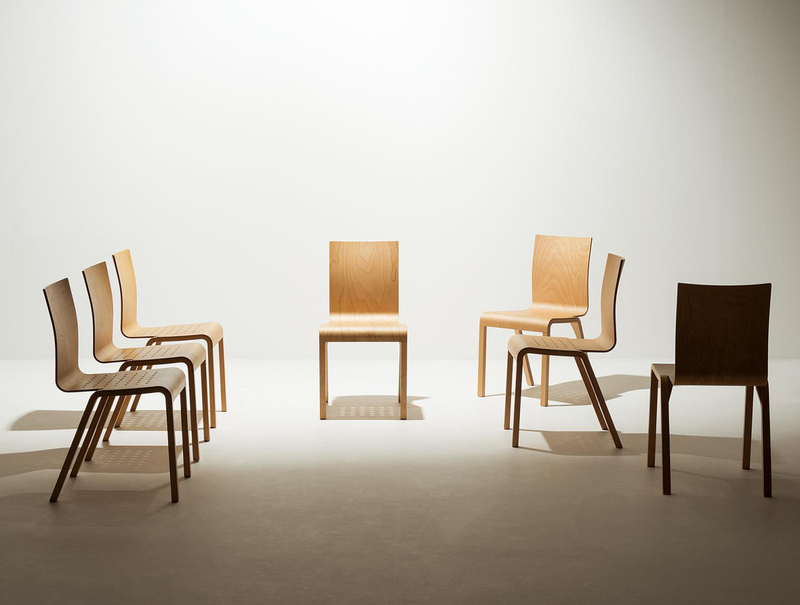 The biggest difficulty we faced in developing this chair was wood warping. Each piece of wood has its own way of bending and twisting. Wood may continue to change its shape for a certain period of time even after molding press is applied. In most cases, it stays still after that, but sometimes it becomes grumpy and gets out of hand. 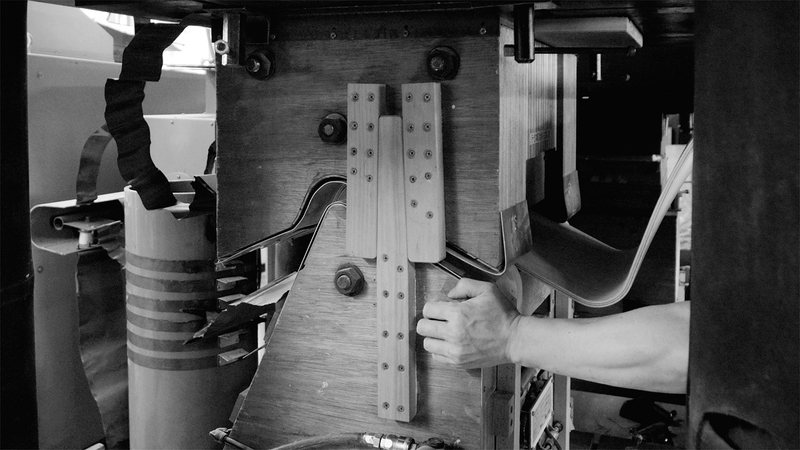 We can hear them complaining; “Hey, it’s too humid,” “What’s with the weather here?” Nevertheless, we struggled to convert the beautiful design into a product by establishing a more sophisticated wood molding press technique and widening the distance between the legs for more stability. The chair in the photo is the first prototype produced only to check the style, and so, strength tests had not been conducted on them yet. We needed to place a notice on the chair for our other staff who is always thrilled to try out new chairs. I know that they love wood so much that they won’t get mad even if chairs break and they tumble down on to the floor, but you know, just in case!